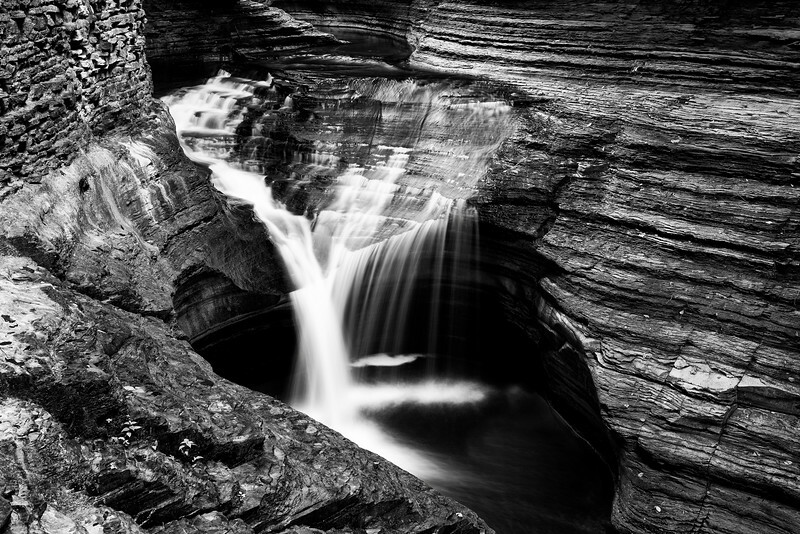 Watkins Glen Falls in black and white. This has the look of a classic silver halide black and white image. The textures and tones really stand out in black and white.